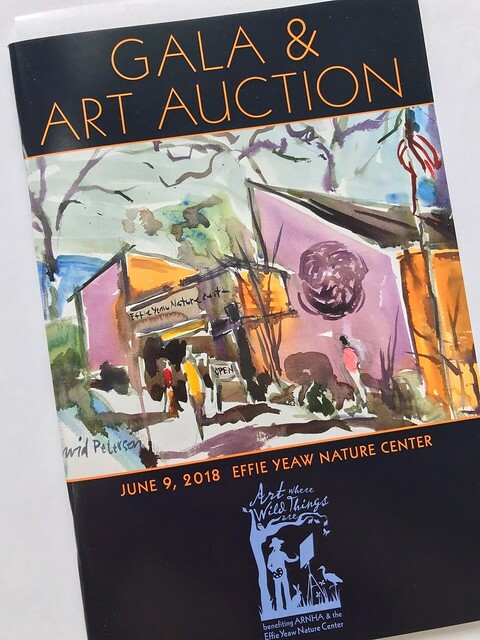 Feeling a little under the weather, Sharon and I walked to the 9th Annual Art Where Wild Things Are at the Effie Yeaw Nature Center. 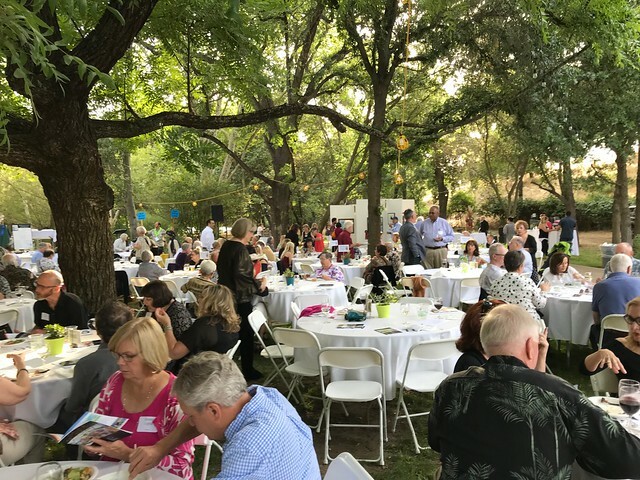 Put on by the American River Natural History Association (ARNHA) and the Sacramento Fine Arts Center, it was an art show, auction and gala. This was the first time that we have gone to this event. There was a big turn-out from our neighborhood. The group included Jim and Debi, Debi's sister and brother-in-law, Michele and her friends from Indiana, Rob and Kathy and a friend of Kathy's, Tom and Judy, John and Sara and John's brother Josh, and Cook and a date. We sat with Rod and Kathy. As the live auction was winding down, a large group walked back to Jim and Debi's house. I ended up playing pool for a couple of hours. Somewhat surprisingly, I held the table for three straight games. I beat Jim, then John and finally Rod. At this point, we played three games of doubles. Rod and I lost the first two games to Jim and John, but managed to win the third. While I wandered home to feed and walk Tiber, Sharon stayed at the party. I crashed about 11 pm. Sharon got home a little after 11:30 pm.